PREMIER Campbell Newman should apologise to the judges of Queensland over his extraordinary attacks on the state's judiciary, says Palmer United Party federal leader Clive Palmer. Mr Palmer said the LNP should expel Mr Newman from the party if he continues his criticism of Queensland judges and the legal system. He said the Chief Justice Paul de Jersey, the Queensland Law Society and the Bar Association of Queensland had every right to be offended by Mr Newman's improper attacks on the state's legal system. "Campbell Newman should apologise to the judges of Queensland," Mr Palmer said. "Mr Newman's behaviour is unacceptable and is frighteningly an example of extreme right wing politics. "This sort of behaviour from a premier acting like a little dictator is a threat to the long-standing separation of powers and the independence of the judiciary. "It's also an attack on freedom of speech, the courts and the legislative system. 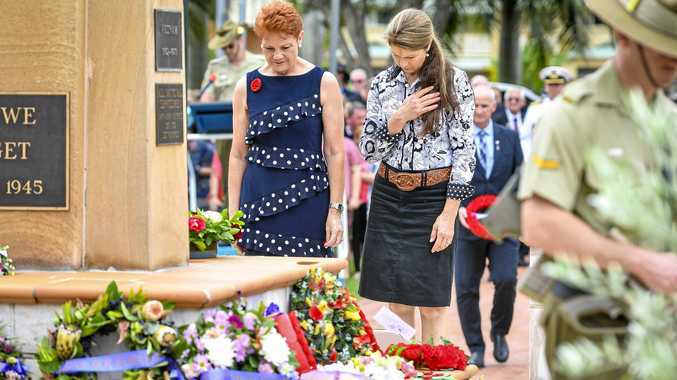 "These are fundamental to the foundations of our democracy, a democracy which Australians have fought and died for in two world wars and other conflicts to defend. "Queenslanders don't want a government that rules by heavy handed dictatorship and effectively eliminates the rule of law. "If Mr Newman continues with these unedifying and unnecessary attacks on the judiciary then the LNP will have no choice but to expel him from the party."